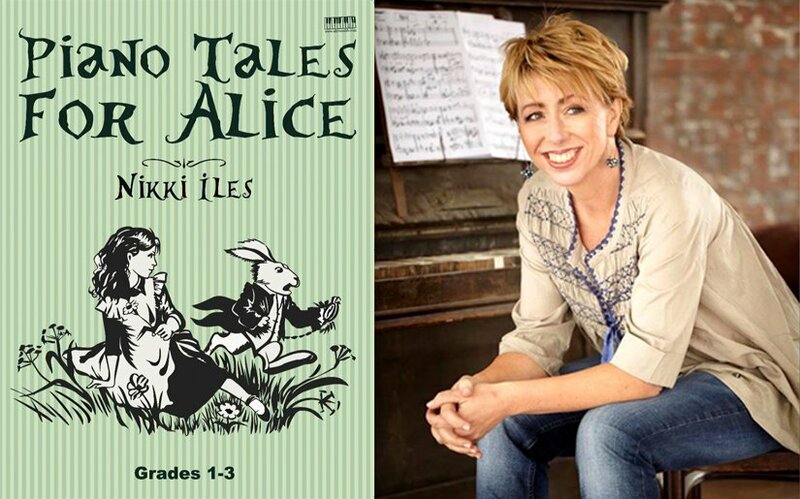 Earlier this year, EVC Music Publications released a first book Piano Tales For Alice in the Nikki Iles Piano Tales series of new books of piano solos and duets aimed at young beginners by the award-winner jazz pianist, composer and educator Nikki Iles. Pieces are inspired by characters in the enchanting stories Alice in Wonderland and Alice Through the Looking-Glass by Lewis Carroll. Piano Tales for Alice is a collection of sixteen piano pieces (14 solos and 2 duets) composed by Iles, who won the 2017 British Jazz Awards for best jazz pianist and is already well-known for her jazz piano publications at Oxford University Press and Faber. She is also a key member of the team at ABRSM. Please sign up for the updates to pre-order your copy! This entry was posted in EVC Music News and tagged EVC Music, new for piano, Nikki Iles, Piano Tales For Alice.